While away on vacation a pipe in my basement burst. To be quite honest I had no idea what kind of condition the piping in my home was in. Since purchasing the home I had never experienced any type of water related issues other than a leaking faucet that I managed to fix on my own. Due to my inexperience I was not aware the piping in the home should be checked on a regular basis to avoid the type of problem I encountered. The pipe in question must have burst a few days after I left for vacation. My entire basement was flooded and a great deal of damage had occurred. I immediately attempted to rectify the situation on my own. All I could manage to do was turn the water off. Though I would have liked to have fixed the piping on my own, I quickly realized that I would be incapable of making the repairs to the pipe along with correcting all damage that had occurred to my basement as a direct result of this leak. 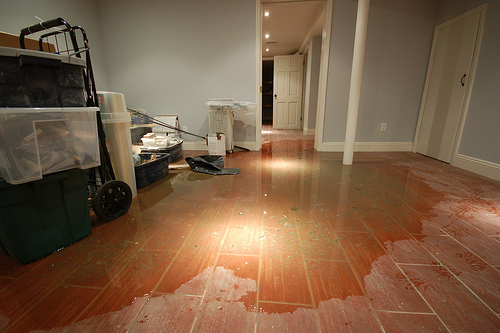 Therefore, I chose to rely on a professional water damage restoration company that had years of experience. Luckily, the problem was easily taken care of by this company and they provided me with the very best service. Not only did they fix my leak and make repairs to my basement, but they also did all of this without overcharging for their services.